The boss of the Zurich-based lender has denied rumours he wants to run for president in his native Ivory Coast in 2020. Even so, completing most of the bank’s restructuring next year will be a natural exit point. 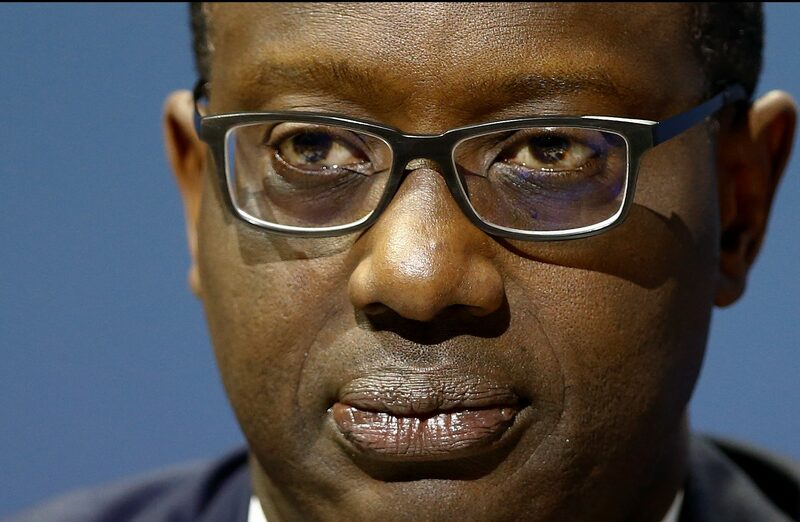 Tidjane Thiam’s “long-term commitment” may last no longer than that. Credit Suisse boss Tidjane Thiam has ruled himself out as a candidate for political office in his native Ivory Coast and intends to stay at the helm of Switzerland's second-biggest bank, according to comments made to a Swiss newspaper quoted by Reuters on Sept. 6. Asked about calls in Ivory Coast for him to run for president, he told Le Temps he was "touched and honoured" by the support he has received, but added: "I have said many times and for many years my determination not to be politically active." Ivory Coast's presidential election is due in 2020. In a separate statement released by the bank on Sept. 6 Thiam reiterated his “long-term commitment” to Credit Suisse. He also highlighted his “many contributions” to development in Ivory Coast during years of working for the government there. Since his appointment in 2015 Thiam has embarked on a deep restructuring of the Zurich-based lender, which remains unfinished. Credit Suisse shares were flat at 14.56 Swiss francs by 0800 GMT on Sept. 7.